Over the past couple of decades, we’ve come a long way in understanding the nature of the risk we face when flying, especially when flying in instrument conditions, and the role that automation can play in that overall risk picture. We’ve also realized the importance of recognizing where a pilot’s performance might fall short and how we can make our flying safer by coming to terms with our inherent imperfection. We’ve come to understand that the autopilot is a key component to flying safety. Not that you need an autopilot to be safe, but when the airplane you’re flying is equipped with an automatic flight control system and you know how to use it, your level of risk drops, especially for instrument flying and even more for new instrument pilots. Today’s digital autopilots are remarkably accurate, reliable and capable. They achieve great accuracy because, instead of mechanical fast-spinning gyros, they make use of digital attitude sensors, which also account for their reliability. With no mechanical parts in the sensor system, modern digital autopilots are far less likely to fail than their predecessors. The capability part is due to the computer revolution and avionics manufacturers making use of small and inexpensive computer chips to mimic the abilities of the flight control systems in airliners, while adding some capabilities the airliners don’t have. A few companies pioneered digital autopilots for small planes, including BendixKing, Genesys/S-TEC, Avidyne and Garmin. Garmin and Avidyne introduced autopilots that have safety features unheard of 25 years ago in light planes, including envelope protection to keep the plane from going outside the normal margins of flight (unless, that is, the pilot directly commands that maneuver.) And it does it even when the autopilot is turned off. The effect is an autopilot that helps prevent the most prevalent type of fatal accident in GA: loss of control. But the new revolution isn’t as much about manufacturers introducing new capabilities to their systems as much as making the systems’ orders of magnitude less expensive while keeping the great capabilities they already have. Dynon, along with EAA, started the ball rolling about a year and a half ago when it got approval for owners of certain light planes to put the previously Experimental-only EFIS D10A right in the panel of their Skyhawks. Since that time, the ball has picked up speed, with Garmin introducing a pair of primary flight instruments, the G5 attitude indicator and G5 HSI, both of which were formerly for amateur-built planes. Then, just a few months ago, a bevy of autopilot approvals came through, including blockbuster announcements by Garmin and Genesys of next-gen digital autopilots that will allow owners of even older, less-valuable planes to equip with high-quality digital auto-flight systems. Genesys announced in late July its new S-TEC 3100 digital autopilot. The 3100 will effectively take the place of the popular S-TEC 55X by costing slightly less while providing a great deal of capability, of which its legacy autopilots could only dream. S-TEC’s entry-level autopilots are extremely popular because they are rate-based units that use rate-of-turn instead of attitude to base their commands, compared with legacy autopilots for this class of plane. Those autopilots, available in hundreds of models of planes, were once the only economically feasible way for owners of light GA planes to put flight control systems in their planes. The 3100 goes beyond those systems, providing far superior features and, presumably, performance (we plan to flight test the system as soon as possible) at a price point that will be competitive with its legacy products. The comparable product in S-TEC’s lineup is the 55X flight control computer. The popular rate-based autopilot was standard equipment in thousands of Cirrus SR22 and SR20 aircraft before Cirrus transitioned to the Garmin G1000-based panel several years ago. The 3100 is an all-digital autopilot that boasts envelope protection and a straight and level button, as have become popular on Genesys’ competitors autopilots, as well as advanced autopilot features, including fully coupled approaches (both WAAS and radio-nav based), indicated airspeed and vertical speed hold, altitude hold and capture, course intercept and more. The company expects certification for the system in early 2018, with the first models slated for STCs including the Cessna 182, Cessna 210, Beechcraft Bonanza and Piper Saratoga. Genesys plans to announce firm pricing on the autopilot soon, but it does say that it will be price competitive with Garmin’s recently announced top-tier GFC 600, which has a list price of between around $20,000 and $24,000 for the high-performance aircraft that Garmin is targeting with initial STC programs. While the new S-TEC autopilot isn’t an existing Experimental product repurposed for the certificated world, arguably it wouldn’t exist save for the emergence of new autopilot options for pilots who have traditionally gone with S-TEC because it was the best-value option (often the only option) for owners of light planes whose hull value didn’t justify installing a more sophisticated model of autopilot. Learn more at Genesys Aerosystems. Dynon is in the process of certifying its SkyView HDX integrated instrument panel, which is in this roundup because the system comes with an integrated autopilot. First STCs are planned for the Cessna Skyhawk and Beechcraft Baron 58. The Dynon-certified equipment is the same as its SkyView HDX, which was designed for Experimental Category aircraft. The system includes dual displays, with a primary flight display with synthetic vision and angle-of-attack capability, a full functioned autopilot using Dynon servos, engine monitoring, moving map and flight management and a fully compliant ADS-B transponder. Dynon expects to make first customer deliveries by the end of the year. The company also said that it “expects to continuously expand the approved model list (AML)” to include a “broad range” of aircraft. Dynon also announced its emerging plans to start a network of factory-run installation centers that will focus on installing SkyView HDX in certified airplanes. It’s looking at establishing the first center in the Seattle area. The cost of the system is $16,000 plus a $2,000 STC fee. For IFR flight, the system does require a third-party IFR-certified WAAS GPS navigator, so the overall price for planes without an existing GPS-W receiver will be substantially higher than that for IFR operations. With the announcement of its latest product for the used market, Garmin has done the seemingly impossible. It has once again changed the face of the retrofit avionics industry. The two new products, the GFC 500 and GFC 600, are intended for two separate classes of airplanes, the 500 for light low-to-mid performance singles and the 600 for high-performance singles and twins, including turbines. Both retrofit autopilots will have an impressive range of capabilities, including just about every feature of the popular GFC 700, including altitude hold and capture, indicated airspeed hold and vertical speed hold, plus nav and heading tracking. In addition, they will feature ESP envelope protection functions, which protect the plane from a variety of potentially unsafe flight scenarios, including overbanking, overspeed and underspeed protection, along with having Garmin’s Straight and Level button, which the pilot can push to return to a straight and level attitude to avoid an emerging loss of control. The autopilots will come with their own servos, which are different for the two products and which is one of the chief differentiators between them. Both servo types are brushless DC units, but the 600’s are hardened for an extra margin of safety in harsher environmental conditions, such as might be encountered at very high altitudes or in icing conditions. 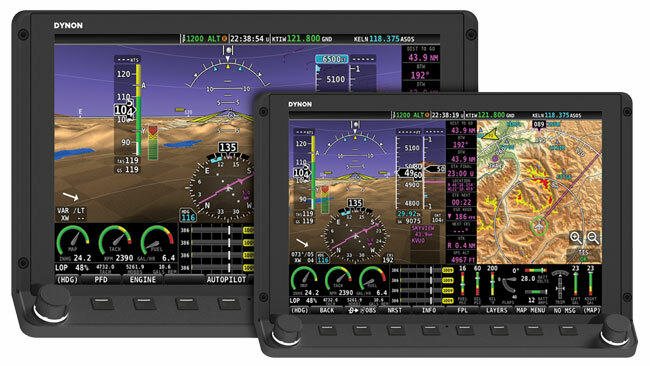 The 600 can also integrate with a wide variety of existing panel-mount equipment, including the Garmin G500/G600 displays, as well as equipment from other manufacturers, so that, in theory, owners of many planes with an already-well-equipped panel will be able to add the Garmin autopilot without having to change the rest of the panel. Cost of the GFC 500 when paired with an existing G5 flight instrument is just $6,995, and it can be purchased with a G5 primary display as a set for around $10,000. Garmin expects initial certification for the GFC 500 later this year in the Cessna 172, with certifications for the Cessna 182 and Piper PA-28 models to follow early next year. The GFC 600 will sell for $19,995 for the A36 Bonanza and $23,995 for the Beechcraft Baron, two models for which Garmin has already earned STC approvals. 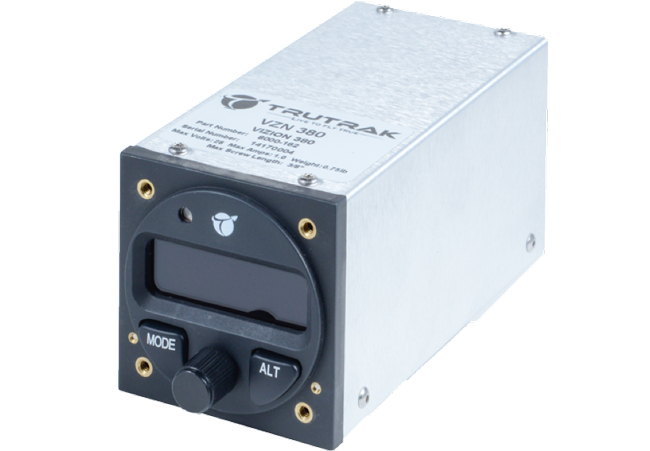 While it won’t come with all the bells and whistles of its Experimental-to-certified competitors, the TruTrak Vizion is priced at a point lower than anybody in the market, which could make the autopilot a real option even for owners of older Part 23 planes that until now were not good candidates for an autopilot retrofit. The Vizion is a 2-axis autopilot that is capable of connecting with both handheld and panel-mounted GPS units. It also has an emergency level feature. Though not yet authorized, the system is capable of performing coupled instrument approaches, an approval TruTrak is pursuing. The Vizion comes in three models—standard, 3-inch and flat pack, all for the same price of $5,000. The EAA STC is on sale to members for $100. TruTrak estimates an average install time of just 18 hours, so install costs should be reasonable, too. And it’s available now. EAA subsidiary EAA STC, LLC has begun selling STCs for TruTrak’s Vizion autopilot. TruTrak got Parts Manufacturer Approval (PMA) from the FAA for installation of the Vizion in select Part 23 aircraft this past spring. At the moment, the Vizion is available for Cessna 172 models F through S. EAA and TruTrak are working to expand that list in the near future. Next in line are additional 172 models and the Cessna 177. 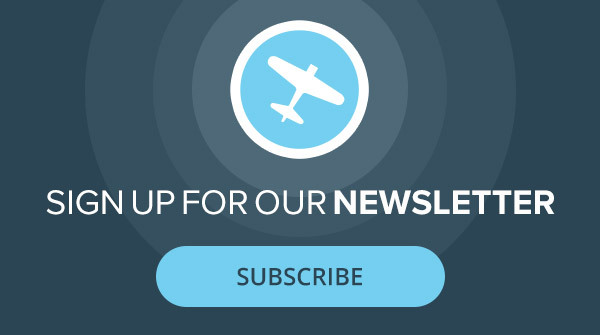 For interested owners of other types of aircraft, TruTrak has an online signup form to help them decide where to take the autopilot next. No mention of the Trio autopilot that has just been STC’ed? Having been involved in electronic design for over 35 years, I personally will never pilot a general aviation aircraft with electro mechanical actuators between me and the control surfaces. Commercial aircraft manufacturers have the resources to truly make these systems reliable. Low volume, low cost general aviation companies do not. The author should spend a little more time reading the ntsb reports with very skilled and competent flight crews where everyone perished due to autopilot failure. If I have two aircraft to choose from…..one with and one without autopilot, I’ll be choosing the one without….every time. And I don’t care how many STCs the autopilot has. If airliners are the only ones with reliable autopilots then there shouldn’t be any airliner NTSB reports. Also, when an autopilot is turned off the airplane becomes a plane without an autopilot. Embracing new technology is always hard. Refusing to see the benefits of “a helping hand” obvious. No technology absolves the PIC of responsibility to fly the plane, but it can assist to achieve better outcomes. Loss of situational awareness and subsequent loss of control, and/or CFIT in GA aircraft is a major contributor to accidents. An autopilot allows the pilot to effectively manage the trajectory of the aircraft while reducing task load. This allows efficient management of navigation equipment, review of procedural plates, and expands the pilots field of vision. An autopilot can be a life saver, specially one with envelope protection. Any single pilot flying hard IFR without an AP is reducing his/her ability to manage threats and errors, specially if fatigue is thrown in the mix.